If you love cooking, imagine how much fun you’d have with a full-service kitchen right outside your back door. It’s entirely possible to create your dream space with a few simple additions. A built-in grill not only looks great, but it’s functional too. This design allows you more space for cooking preparation and additional space for your barbequing essentials, platters, utensils, and condiments. It’s the perfect way to entertain large crowds or simply have a hassle-free family dinner at home. Sleek lines frame out cabinet space that can hide your supplies and cooking materials, anything from grill racks, to charcoal to lighter fluid. Stainless steel is a great option for standing up to Halifax weather, it also adds a high-end, professional look. For a warmer vibe, go with a sealed wood finish, or stone veneer. Your cabinet space can be free-standing, lowers, or you can add uppers to an existing outdoor wall. Consider how much storage space you need to determine the best layout for your dream kitchen. One of the latest foodie trends is smoked meat, consider making a ceramic outdoor smokers, it can complement your grill cooking, especially when prepping meals for a big party. You can even have one built into your kitchen space for a completely unified look. We all know that Halifax can get chilly, even on a late summer evening. 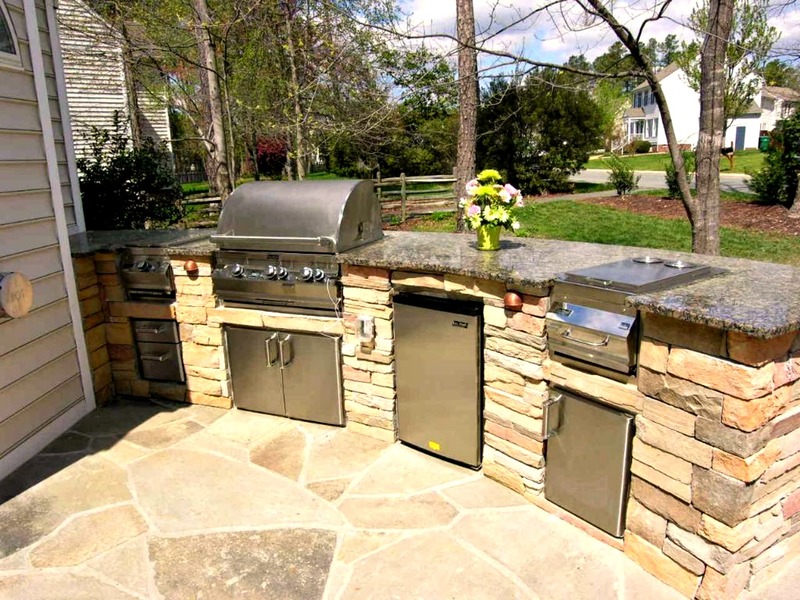 Keep warm and enjoy your outdoor kitchen longer by incorporating a heating feature. Such features can be build it into the structure, mounted to a ceiling or wall, or include a free-standing one. The best part about a free-standing heating source is the ability to move it around to wherever your crowd is congregating. Truly bring the indoors out by installing an outdoor television. Completely weatherproof, you can feel like you’re really in an outdoor living space. 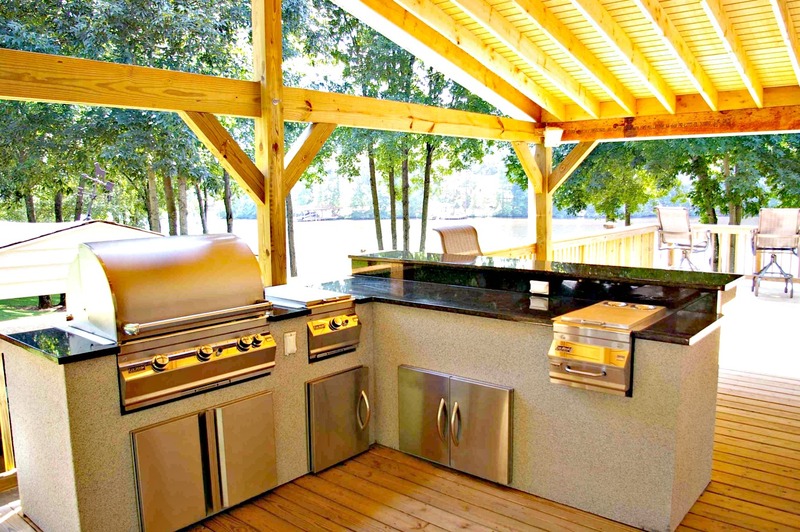 Get inspired in your outdoor kitchen by watching your favorite Food Network show. Ready to get cooking? Email us at [email protected] or call (902) 444-3325 to get started.